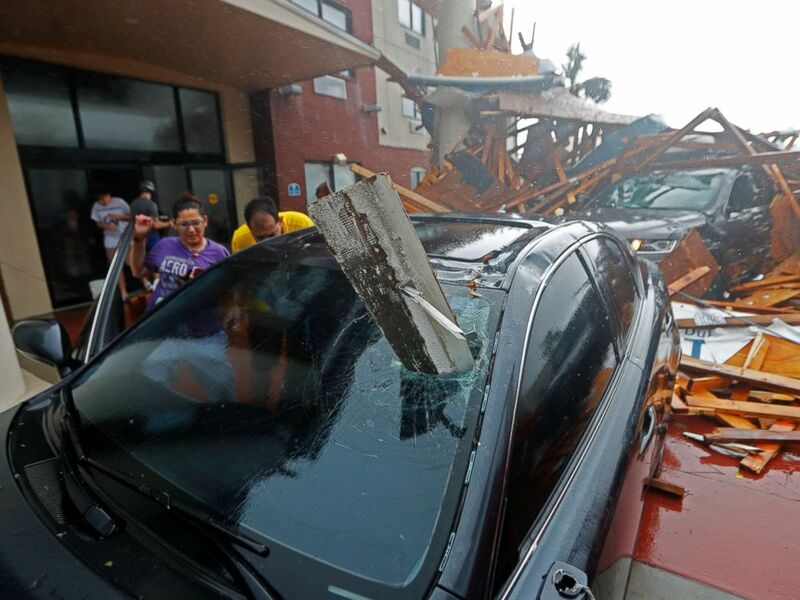 Hurricane Michael is heading north after it ripped through the Florida Panhandle as the strongest storm to come ashore in the U.S. since 1969. After barreling through Georgia, Michael hit North Carolina on Thursday, where life-threatening flash floods are possible. By Thursday night, the system will bring heavy rain and gusty winds to the Northeast and then move out to the Atlantic by Friday morning. The storm has killed four people in Florida and one person, an 11-year-old girl, in Georgia. Michael has now weakened to a tropical storm and is moving quickly north through North Carolina and Virginia. Black Mountain, North Carolina, has been drenched by over 9 inches of rain as of Thursday afternoon -- with more rain still falling. North Carolina is still recovering from last month's Hurricane Florence which dumped massive amounts of rain and caused behind deadly flooding -- and could face rain in those same areas. For North Carolina, "Michael isn't as bad as Florence but adds insult to injury," Gov. Roy Cooper said at a news conference Thursday. 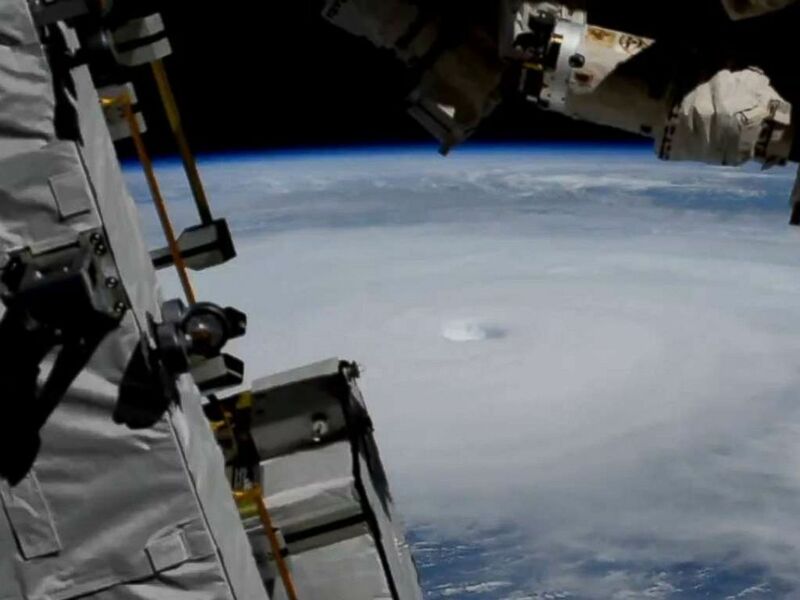 Hurricane Michael is seen from the International Space Station, Oct. 10, 2018. "The ragged but raging remains of Hurricane Michael is over us," the governor warned. High winds may hit North Carolina and Virginia Thursday and tornadoes are possible in North Carolina, Virginia and Maryland. But it's not just the South in the storm's path. Thursday afternoon a cold front will push east combining its heavy rain with Michael’s moisture, threatening heavy rain from Delaware, Maryland and Virginia through Philadelphia, New York City and Boston. By Thursday night, some heavy rain from Michael will brush through Long Island and New Jersey, where flash flooding is possible. Some areas as far north as southern New Jersey could see up to 6 inches of rain. By mid-Friday morning, the entire storm system will push off the East Coast. 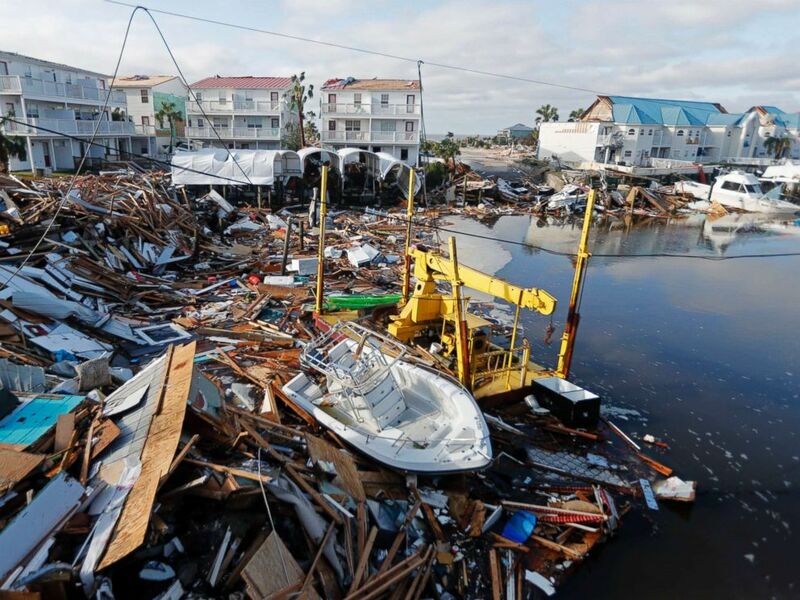 A boat sits amidst debris in the aftermath of Hurricane Michael in Mexico Beach, Fla., Oct. 11, 2018. Michael made landfall in the Florida Panhandle as a Category 4 Wednesday afternoon with whopping 155 mph winds. A hurricane reaching 157 mph is in the highest category, a Category 5. 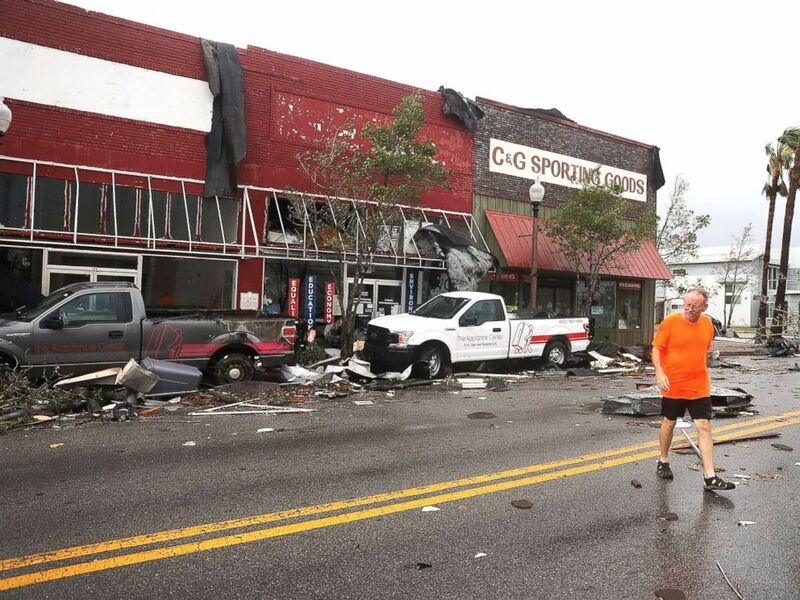 A man walks past damaged stores after hurricane Michael passed through the downtown area on Oct.10, 2018, in Panama City, Fla. Described by Florida Gov. 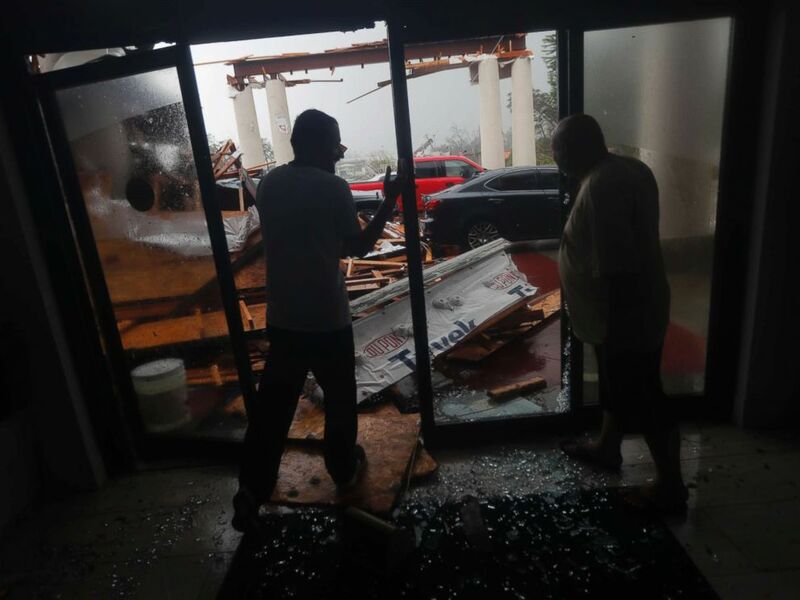 Rick Scott as "monstrous," Michael was the worst storm to hit the Florida Panhandle region since the mid-1800s and the first Category 4 hurricane to come ashore in the region on record. Storm surge reached over 9 feet in Apalachicola, Florida. A woman checks on her vehicle as Hurricane Michael passes through in Panama City Beach, Fla., Oct. 10, 2018. Hotel employees look at a canopy that just collapsed, as Hurricane Michael passes through in Panama City Beach, Fla., Oct. 10, 2018. As cleanup and rescues were underway Thursday, Gov. Scott urged residents who evacuated and hunkered down at home to stay off the roads. Among those helping were about 450 Florida Highway Patrol officers, many of whom drove through the night to the Panhandle to aid with rescues.